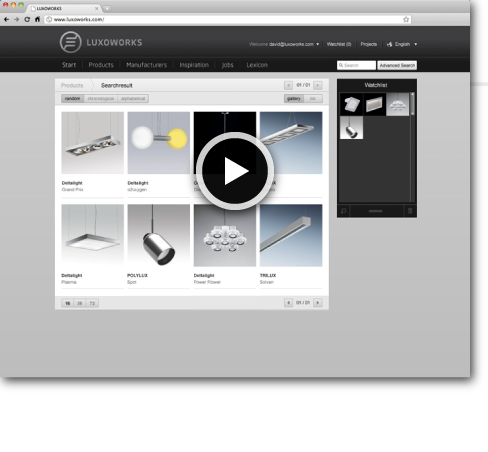 Luxoworks is an online product database for lights with an integrated 2D planning tool. What makes it so special? Users can view all data online and do not have to install any special software. Luxoworks is an online platform for lighting projects. It gives anyone involved in a project – from architects through electrical and light engineers to developers – 24x7 access to real-time planning information. Say goodbye to the tedious process of browsing through catalogs. 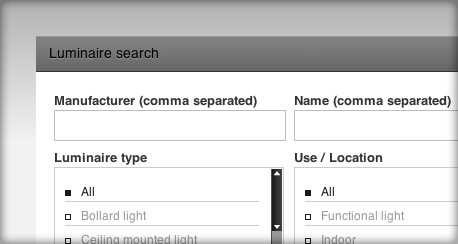 Use search parameters to find the lights you need –30% to 40% faster! Luxoworks is the efficient way to find the right lights. Use the same tool to place the lights you have chosen into your project blueprint. With LUXOWORKS, you can collaborate with colleagues and customers in the same planning document. 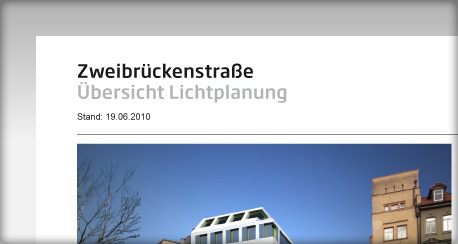 Export your project blueprints, light specs and images. 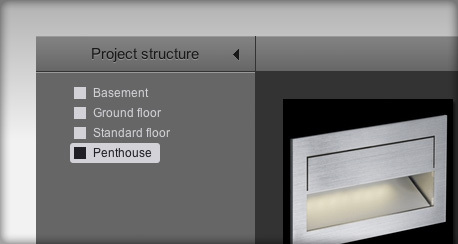 A single mouse click creates a professional presentation of your lighting project. LUXOWORKS won’t fail to impress your customers. You no longer have to waste time working out how to get in touch with the manufacturers of interest to you. 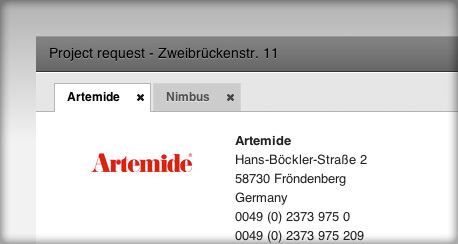 Instead, you can contact manufacturers directly from the planning tool, giving you instant access to precisely the information you need. That’s communication with LUXOWORKS! No installation. No software to maintain.